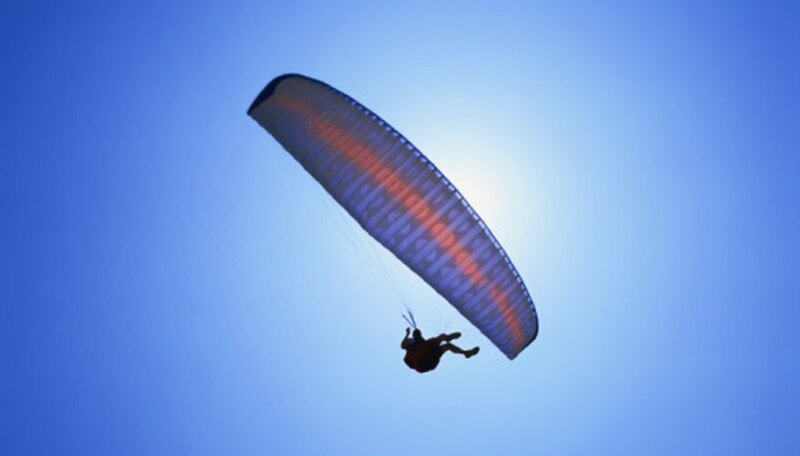 The parachute is a simple piece of technology with one simple purpose, to slow down fast moving objects or people. The wide, flat expanse of fabric catches the air and pulls back on the object or subject to which it's attached. These devices are used in a number of different settings, ranging from military to recreational applications. Skydiving is jumping out of an airplane for the fun of it and releasing a parachute long before you hit the ground. This gives an exciting feeling of free fall for a few seconds. 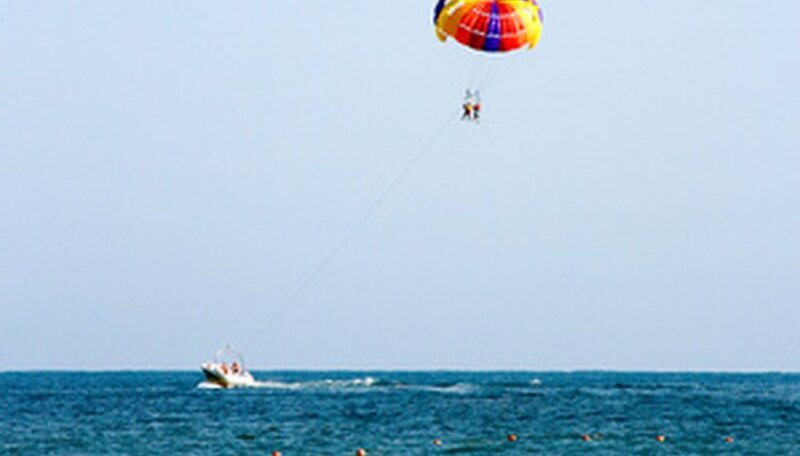 However, this is not the only use of a parachute for recreation: parasailing is another example, which involves a participant with a parachute being pulled behind a boat. In addition to dropping soldiers on a battlefield without needing a landing strip for the airplane, parachutes also are used by the modern military to drop supplies and equipment. Instead of a single parachute that is large enough to accommodate a person, these larger drops call for several parachutes large enough to drop the equipment safely. Vehicles used in drag racing travel extremely fast for a short period of time, but it takes space and time to slow down. That's where this specialized parachute, sometimes called a "drogue chute," comes in. These small parachutes help decrease the length of track needed to slow down. Instead of being used vertically, these parachutes are employed horizontally. Believe it or not, some airplanes use parachutes as well. For some, the function is a lot like a drag racer. This is ideal for areas with limited runways, such as an aircraft carrier's deck. There also are some aircraft that use a parachute recovery system to protect them from crashes. By pulling a huge red lever in the plane when the pilot feels he has lost control, the plane and parachute glide gently to the ground. Parachutes don't have much use in a vacuum because they require air to actually function; yet, the Apollo capsule was equipped with one. NASA uses parachutes for a similar reason that some airplanes do, for recovery. An expended Ares rocket booster will deploy a parachute after being dropped, then the equipment will splash down into the ocean safely with the help of a parachute. Turner, Grahame. "What Are Parachutes Used for Today?" Sciencing, https://sciencing.com/parachutes-used-today-7450870.html. 25 April 2017.